Northeast corner of the tower. 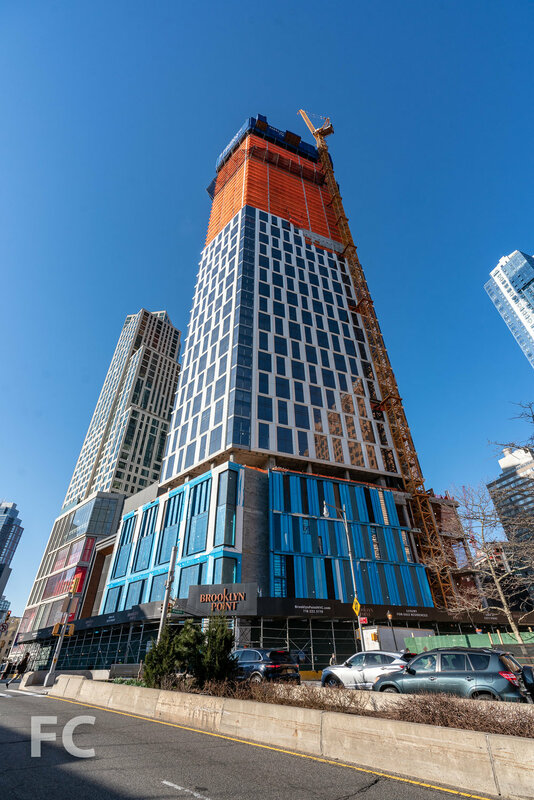 Superstructure has topped out at Extell’s Brooklyn Point, the 720 foot tall third tower in the City Point development in Downtown Brooklyn. 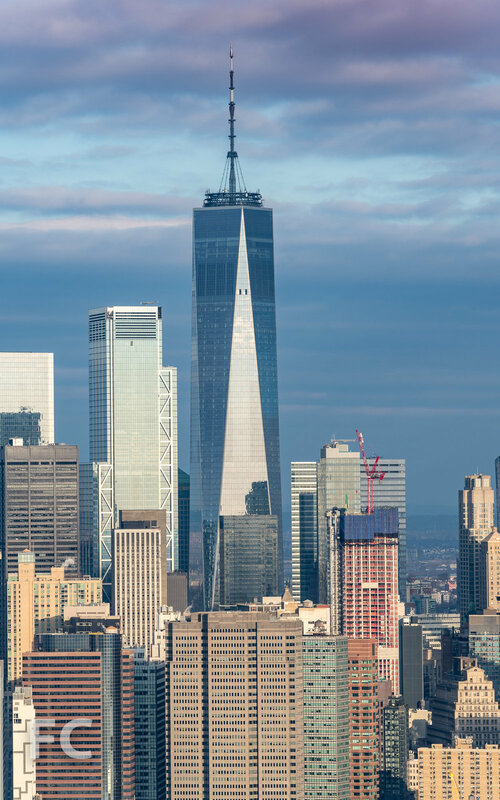 Designed by Kohn Pedersen Fox (KPF), the 68-story residential condo tower sits at the northern boundary of the City Point development. Installation is ongoing on the sculpturally framed over-sized windows, offering views of the Manhattan and Brooklyn skyline and waterways. Facade panels at the southeast corner. Southeast corner of the tower from Flatbush Avenue. Tenants of the 458 luxury residences will have access to over 40,000 square feet of indoor and outdoor amenities including 65’ indoor saltwater swimming pool, fitness center, indoor squash/basketball court, a park lounge at the 9th floor landscaped terrace, and the tallest residential infinity pool in the Western Hemisphere at the rooftop amenity floor. View northwest towards Lower Manhattan from an upper floor. View north towards Lower Manhattan and the Brooklyn waterfront from an upper floor. View north towards Midtown from a upper floor. View southeast towards Fort Greene and Prospect Heights from an upper floor. Downtown Brooklyn seen from a lower floor with curtain wall installed. Southwest corner of the tower. 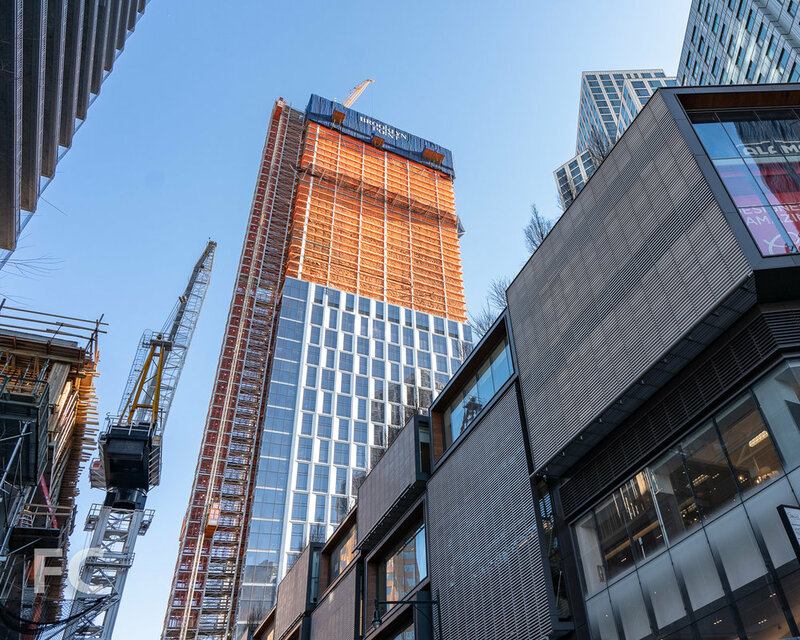 Architect: Kohn Pedersen Fox; Interiors: Katherine Newman Design; Landscape Architect: Mathews Nielsen; Developer: Extell; Program: Residential, Retail; Location: Downtown Brooklyn, Brooklyn, NY; Completion: 2019.